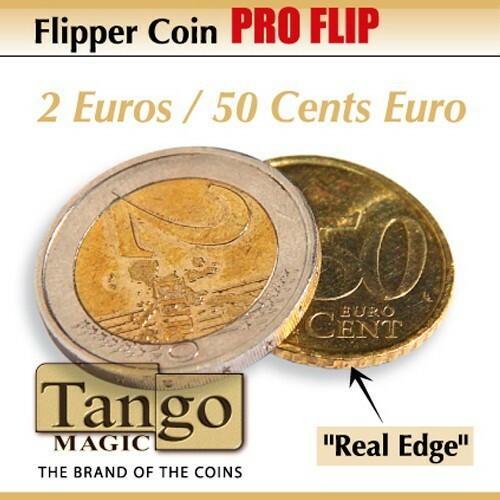 Produktinformationen "Flipper Coin Pro 2 Euro/50 cent Euro (Real Edge) by Tango | Zaubertrick"
The magician shows two coins in his left hand. He takes one of his coins with his right hand and closes the right hand. When he opens the right hand the coins have disappeared. Weiterführende Links zu "Flipper Coin Pro 2 Euro/50 cent Euro (Real Edge) by Tango | Zaubertrick"
Kundenbewertungen für "Flipper Coin Pro 2 Euro/50 cent Euro (Real Edge) by Tango | Zaubertrick"